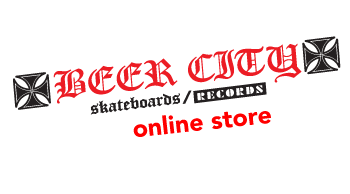 BEER CITY SKATEBOARDS AND RECORDS is proud to reissue THE FACTION - Epitaph 12”. This is the fifth FACTION record ever released. Originally coming out in 1986. This reissue has been restored and remastered for a louder, better sound then ever before! This features a brand new front and back cover as a sick inner sleeve complete with lyrics! To top it all off only 1500 of these will be pressed and on clear vinyl for RSD 2016.